Early this year, Republicans advanced version of the pension bill that stalled after intense opposition from state workers, especially teachers. Republican leaders of the legislature repeatedly said that the pension proposal wasn’t going to pass this year. Then, on one of the final days of this year’s legislative session, a new version of the bill materialized and swiftly passed out of committee and both chambers of the legislature in matter of hours. Gov. Matt Bevin’s general counsel Steve Pitt says waiving the procedural rules are necessary in order to pass important legislation at the end of a legislative session. “They have to be able to use the time-honored practices because things come up and consensus is reached and agreements are reached at the end of legislative sessions and there have to be vehicles on which to make those decisions and pass those laws." State law requires bills to be formally presented on three separate days before they are eligible to be voted on, though lawmakers frequently override the rule. Attorney General Andy Beshear has sued to block the pension bill from going into effect on July 1st, arguing that parts of the legislation violate state worker contract rights, but also that the lawmakers broke the rules when they passed it. During the hearing on Thursday, Franklin Circuit Court Judge Phillip Shepherd said the lawsuit raises questions about whether lawmakers were allowing an open and transparent legislative process. Republican leaders also waived the requirement for the bill to have an actuarial analysis—an estimate for how the bill would affect the state’s finances. After the bill passed, they revealed an analysis that said the bill would save the state about $300 million over 30 years. Meanwhile, the state’s pension debt is about $37 billion. In other news this week, Kentucky’s new education commissioner Wayne Lewis made his first presentation to the state board of education in his new position. He unveiled his priorities for the job, including a push to open up charter schools in the state. Lewis was hired in April after Gov. 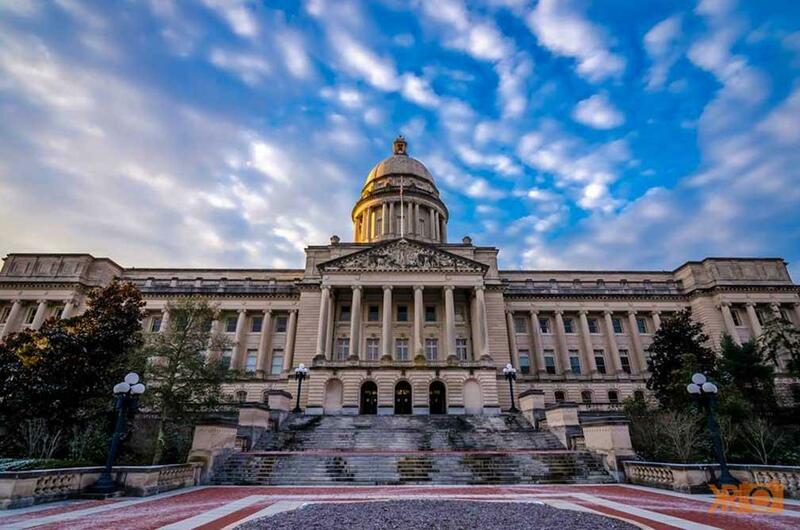 Matt Bevin’s appointees to the state board gained a majority of seats for the first time. The new board forced out former commissioner Stephen Pruitt, who had two years left on his contract. One of Lewis’ first actions was to release a scathing audit of Louisville’s public school system, recommending that the state takeover the management of the district. The Jefferson County Public Schools board has appealed the recommendation, which means there’ll now be a public hearing later this month where Lewis and the local board will make their cases for and against a takeover. And this week, U.S. Senate Majority Leader Mitch McConnell continued to voice concern about a trade war after the Trump administration slapped tariffs on steel and aluminum imports from the European Union, Canada and Mexico. The EU, Canada and Mexico have indicated they’ll retaliate with their own tariffs that directly affect Kentucky producers in industries like agriculture, car manufacturing and bourbon. That’s it for your distilled rundown of the news out of Frankfort this week.